Founder of Seekers Limited, Managing Director. Responsible primarily for relocations, business opportunities and Investment Properties. Also founder of Furniture Solutions online furniture store so responsible for Turnkey Solutions for rental properties. Connect to my Linked In for further detail. 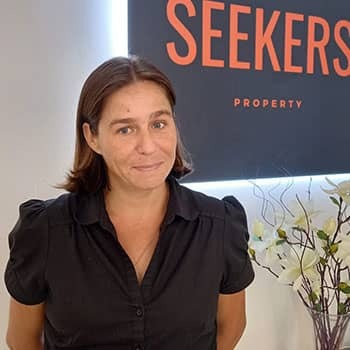 Born in Gibraltar Sabrina joined the family business in 2009 having gained a BA Hons Degree in Business and spent 8 years working in the Gaming Industry in Gibraltar, gaining experience before she joined the family company. She initially joined the company to assist in the creation of an online furniture store, and a new website for Seekers. Now Sales Manager, and responsible for Marketing and Advertising, as well as new Business. Leila Garcia: Younger daughter, Leila, has been working with Seekers since the beginning, although her role has changed to allow managing a young family. 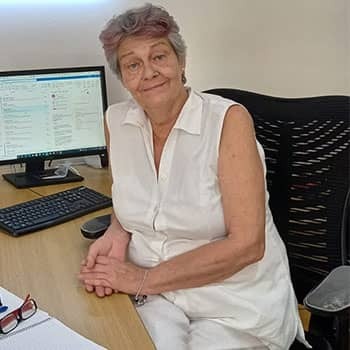 Leila is Office Manager, dealing with accounts and administration, but has been involved in all aspects of the company, and is very often the first point of contact in the office and can also offer advice and assistance in the absence of other colleagues.